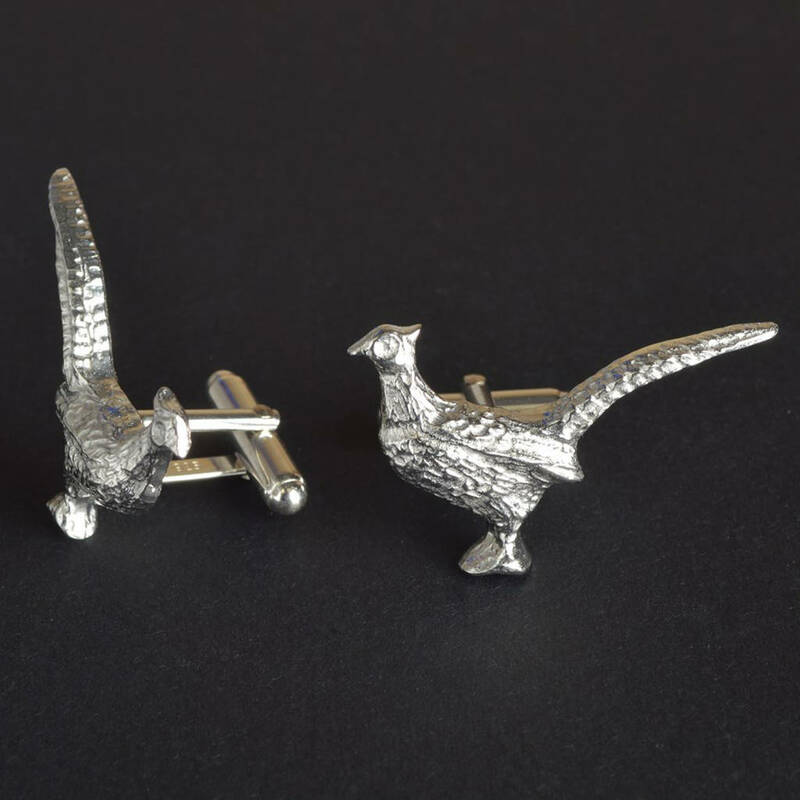 A striking pair of highly detailed Pewter pheasant cufflinks with Sterling Silver fittings. 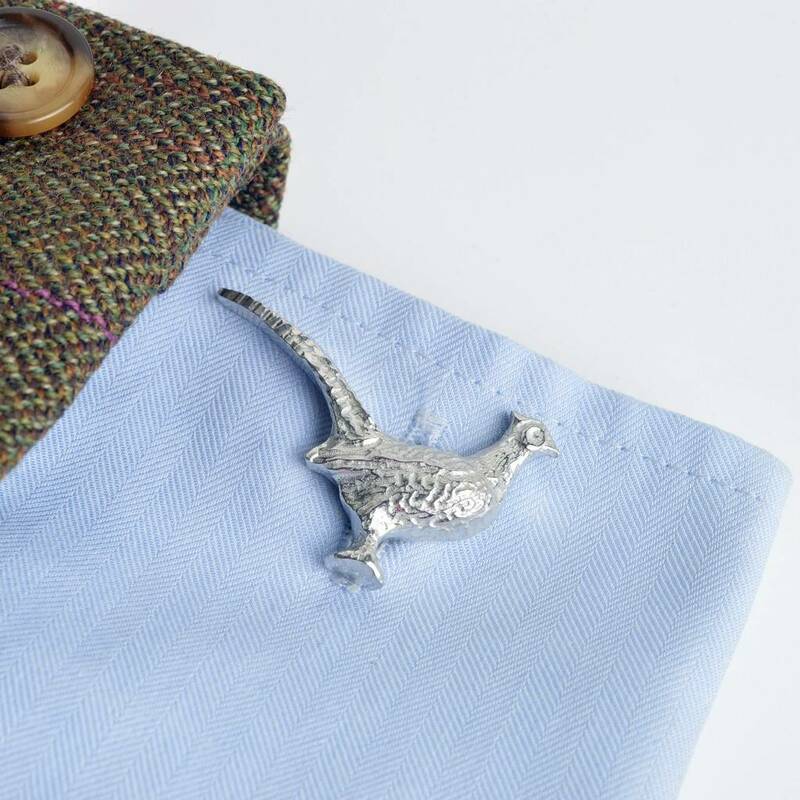 This magnificent and majestic pair of pewter pheasant cufflinks make great presents for Father's Day, Valentine's day, for a groom... or for any special occasion! Pheasants are a symbol of yang energy, with attributes of fire, life, male and action. 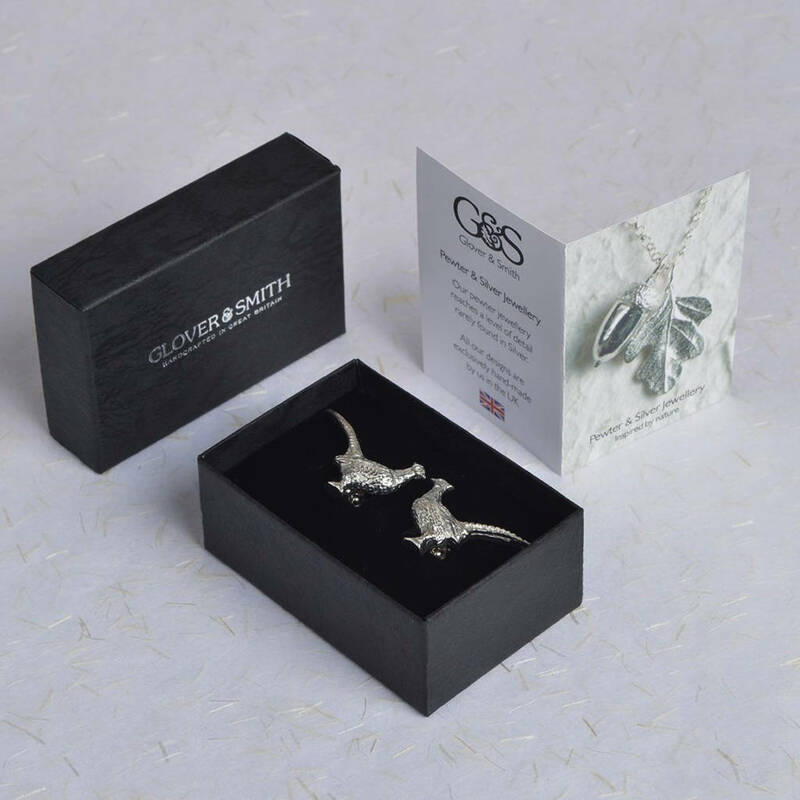 Perfect hunting, shooting gifts, great for gamekeepers or countryside lovers alike. 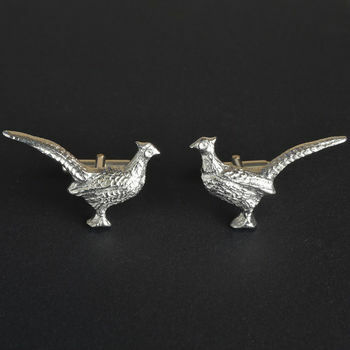 Our pheasant cufflinks are one of a range of over 240 designs made by Glover and Smith in Salisbury. 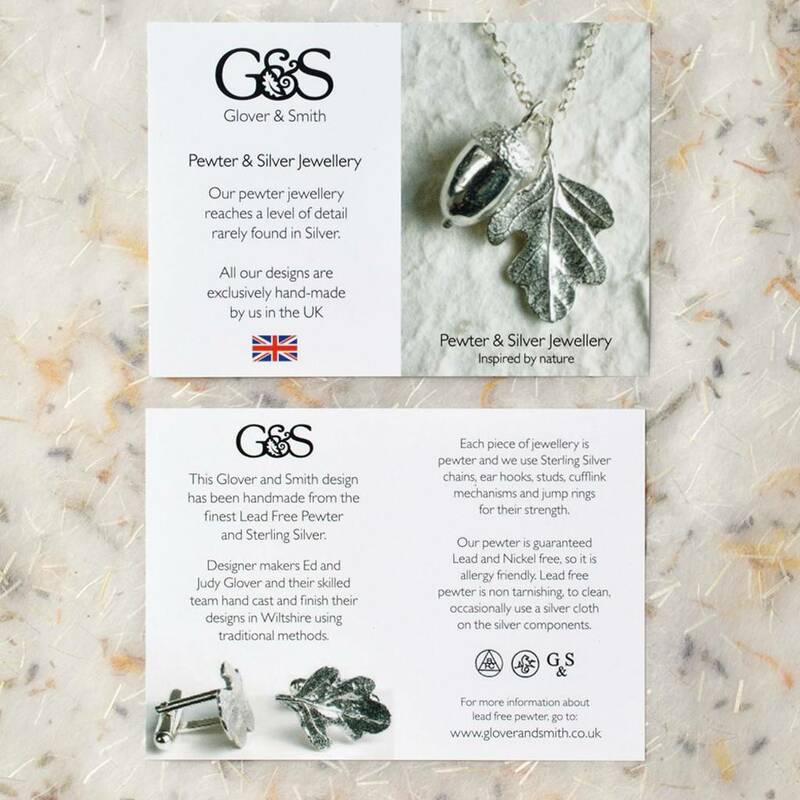 All Glover and Smith cufflinks are made from solid polished lead free pewter which is non-tarnishing (that was the lead) and completely nickel free. 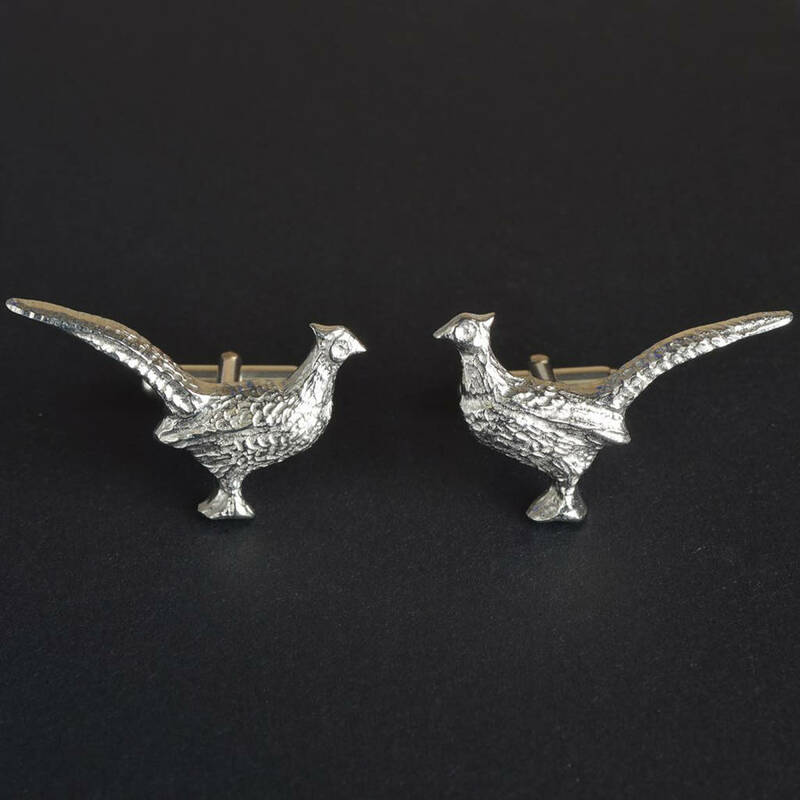 Because we use solid metal the surface of your pheasant cufflinks will never flake or rust, just wash with warm soapy water. All our designs are made exclusively by us in Wiltshire. This product is dispatched to you by Glover and Smith.